Fremont, please pack your knives and go…to Book Larder on Thursday morning. You can still sign up to attend the event, which costs $26.99, here. When Cool Whirled closed its doors in January, it left an empty space at 3420 Fremont Ave. just waiting for someone to come in and bring Fremont something new. That something is a juice/smoothie/wheatgrass/beer/wine bar and that someone is Naos Lounge. There are some things we feel Seattle has been missing… A live Juice/smoothie/wheatgrass bar in Fremont, David Lynch signature espresso..yes ‘the’ David Lynch! A Place for Ramon Shiloh to create and serve his amazing edibles!, Exclusively serving local beer and wine…as well as WA farm produce and meats…Live music for happy hour from Sea~Town’s finest! In house 1200’s with vinyl by the hundreds for the community to spin~, an amazing swanky and funky vibe and oh yes…. The ‘Sunday Funk Brunch’!!! Watch for us in mid March, in the heart of Fremont at 3420 Fremont AV N.
From the sounds of it, the place will have a little bit of everything. Keep an eye on their Facebook page and Twitterfeed for updates as they prepare for a mid-March opening. I’ll have more updates shortly as well. It’s that time again. Friday, March 1st is the first Friday on the month and so the Fremont First Friday Art Walk will go down between 6-9 pm. I work with my camera improvisationally. I’m always on the lookout for light and shape that inspires me. I feel like a dancer when I shoot photos. I move in a graceful motion looking into my camera frame until the shapes look right and I click. This series is called Nights and visual haikuâ. I fell in love with various shapes and textures while out wandering the city. BONUS: $1 off dumplings when you mention the phrase “Make Art, not war”. Under the Needle is a tattoo shop located in Downtown Seattle, where a group of artists from varying backgrounds work together to bring a high level of professionalism and wide range of artistic perspective to their clientele. This collection of watercolor pieces from each artist reflects the depth and versatility that they are able to bring to a common medium, just as they do in tattooing. Get info on more artists, venues and festivities here. This Thursday, March 1st between 5-7 p.m., Key Bank in Fremont (601 N 34th St.) is hosting an informative evening about the fiscal health of your business in 2012. The evening will include talks about tax and financial health for your business as well as networking opportunities and munchies. CPA Jessica Allen and Key Bank financial advisor Deborah Gregg will cover topics related to the fiscal health of your business in 2012: Jessica will speak about the 3 MUSTS for Tax Health for Small Business owners and Debbie will cover the 3 MUSTS for Financial Health for Small Business owners. The concerted approach, of Debbie and Jessica, will give Small Business owners invaluable information and an effective strategy to get and maintain Fiscally Healthy in 2012. To attend the event, register here. Payment is a $5 donation to the Fremont Chamber. 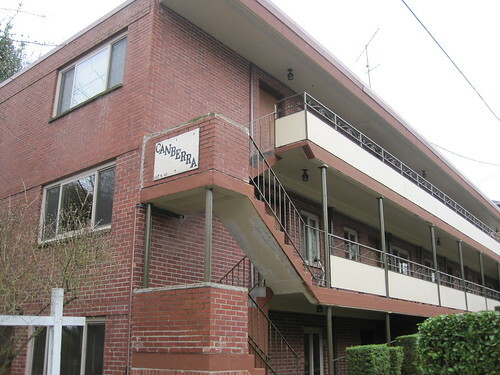 The Canberra Apartments (N. 41st Street & Fremont Ave.) was sold last week by the heirs of the woman who owned it for over 40 years to two brothers/investors who own another building nearby. 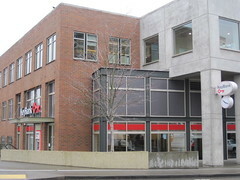 McQuaid Commercial Real Estate represented the sellers of this 9 unit brick building on the corner of 41st and Fremont. McQuaid reported that it traded hands in the mid 5 CAP rate range and that the buyers are long term apartment investors. This may be the first apartment building sold in Fremont this year. While teaching his son how to read, Fremont resident Scott White wanted to find a way to bring traditional phonics lessons to life. So, he decided to develop a game that uses touch-screen technology to engage children’s many senses, and fun characters to encourage a sense of playful learning. He founded a small company, Early Ascent, to bring this game from great idea to reality with the new educational iPad app, Reading Raven. The tool contains hundreds of reading and learning activities grouped in five lessons, where kids encounter fly-eating frogs, caterpillars that morph into butterflies, ball balancing seals, sea creatures, snow monsters, flying penguins, rhyming rockets, and more. These lessons can take kids all the way from basic pre-reading skills to reading sentences. It is self-paced and customizable to each child’s age or learning level, so they can focus on the lessons they find most useful and engaging. Thus has been used by kids as young as 3 and continues to fortify reading skills in older beginning readers. Since its launch on February 4, Reading Raven has ranked among the top 100-200 educational apps in the App Store. As a small company of folks passionate about teaching kids to read, they hope to continue this current momentum so they can add more lessons and continue to enhance the fun learning experience. You can learn more about Reading Raven at the App Store or on the official website. Last month, Seattle City Councilwoman Sally Bagshaw announced that the Seattle Department of Transportation has plans for 11 miles worth of greenways in the city. Wallingford recently became the first neighborhood to incorporate them and Fremont could be seeing more of them around the neighborhood as well. These alternative and safer routes for pedestrians and bikers are gaining traction in Seattle. Students from the University of Washington entrepreneurial journalism class taught by our partners, The Common Language Project, took a look at neighborhood greenways. The United Way of King County is sponsoring Hunger Action Week in March in order to bring more awareness to hunger issues in our area. United Way is asking, “community members, schools, neighborhood associations, as well as businesses to participate in the conversation of hunger,” writes Morgan Winkler from the organization. Once community members visit our page they will see other ways to get involved including volunteer opportunities (helping out with a food security survey in the Rainier Valley), participating in the Hunger Challenge (eating breakfast, lunch, and dinner, off of $7 a day—maximum amount someone can receive on food stamps), and/or hosting a dinner with friends, family, and/or neighbors and talking about food (if people choose this option they will be entered to win a free catered after-hours dinner at the Microsoft Store in University Village!). The Hunger Action Week starts March 19. To sign up to volunteer, visit United Way’s website about the event. If you’ve driven, walked or biked past 45th and Stone Way lately, you may have seen signs up for a new Walgreens store, going in on the southeast corner. A peek inside shows some work being done to ready the store for an early to mid April opening, according to Walgreens representative Vivika Panagiotakakos. Panagiotakakos says the store will offer 22 parking spaces at the rear of the store (parking lot just off Stone Way). The opening date is still tentative. We’ll update with any new information. If you hear cannon fire on Friday and Saturday, don’t worry, it’s just the official closing of Magnolia’s Fort Lawton after 111 years. The U.S. Army will fire cannons between 9 a.m. and 1 p.m. both days. Friday is practice for Saturday’s official closing ceremony. The Army will ceremonially return the property to the city of Seattle. The public is invited to the ceremony. There will be bus tours of Fort Lawton and Discovery Park, and guest speakers such as Seattle Mayor Mike McGinn, and Congressman Jim McDermott. For more information on Fort Lawton and the closing ceremonies, see our sister site Magnolia Voice.